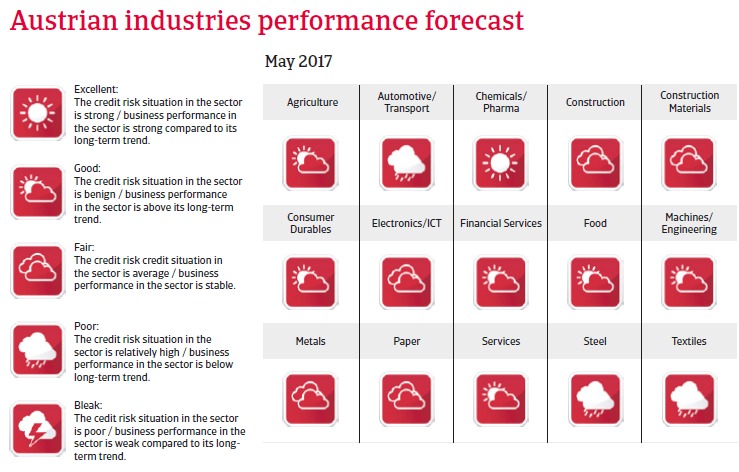 Despite higher economic growth rate of about 2% is expected in 2017, business insolvencies are forecast to increase again in 2017, by 3% year-on-year. 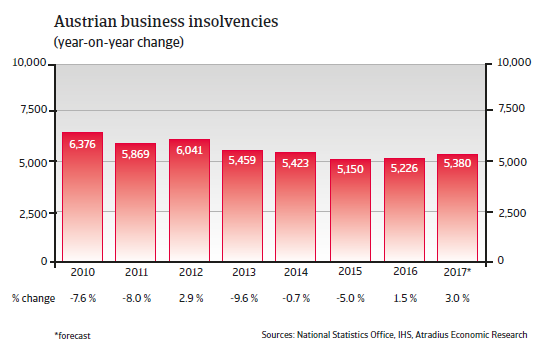 After decreasing three years in a row, Austrian business insolvencies increased again in 2016, by 1.5%, and are expected to rise further in 2017 (up 3%). 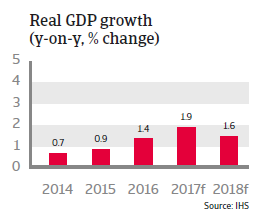 Austrian GDP grew 1.4% in 2016 and is expected to increase 1.9% in 2017, fuelled by both domestic consumption and exports. Private consumption is forecast to increase 1.9%, helped by decreasing unemployment. 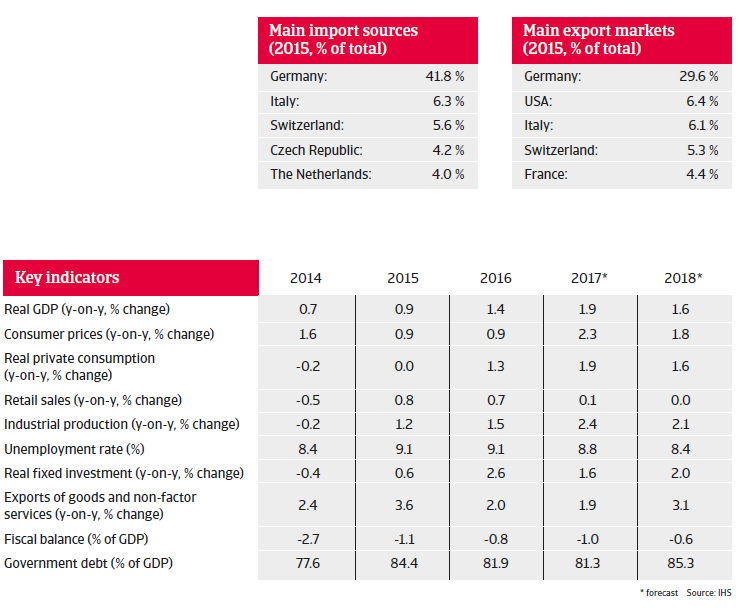 Exports are expected to benefit from increasing demand in the eurozone and overseas markets. Inflation is forecast to increase more than 2% in 2017 following the 0.9% rise in 2016.